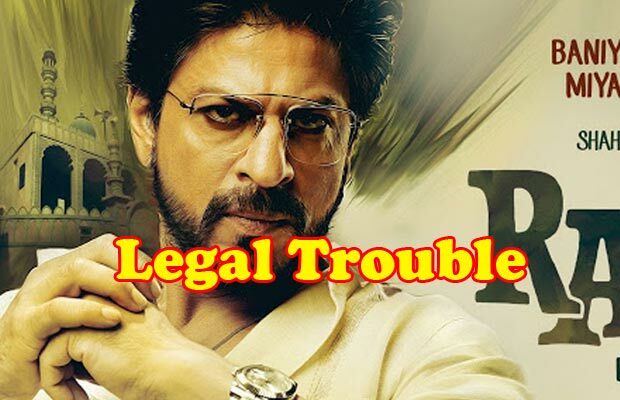 Home BOLLYWOOD Raees Puts Shah Rukh Khan In Legal Trouble! Raees Puts Shah Rukh Khan In Legal Trouble! [tps_footer]Bollywood actor Shah Rukh Khan has geared up to finish the shooting of his upcoming film ‘Raees‘, which is being directed by Rahul Dholakia. The superstar will be seen portraying the role of a character inspired from don Abdul Latif in his next film ‘Raees‘. According to reports, the film is under a legal trouble now. It seems Shah Rukh Khan has turned to be controversy’s favourite child now and with this another trouble has rife for his upcoming film ‘Raees‘. Legal notices have been sent to nine people who are involved with the making of the film ‘Raees‘. Along with the film itself, Shah Rukh Khan, producers, and director Rahul Dholakia have landed into a legal trouble for using real life characters in the film. Well, since SRK’s remark over intolerance in the country, the actor has been into a series of legal trouble. Last month, during the shooting of ‘Raees‘ in Ahmedabad, some of the members protested against the actor and asked to stop the shooting of the film. Stones were thrown at his car amidst slogans against him, fortunately SRK was not present in the car. Previous articleShah Rukh, Aamir, Salman Khan To Unite At Preity Zinta-Gene Goodenough’s Wedding Reception? Next articleWatch: Shah Rukh Khan Too Is A Big Fan About Something!